Matteo Salvini, the head of the far-right party Lega Nord and one of the two prime ministers of the newly established italian government, has threaten to expel millions of nomads who are currently living in Rome. Following a torn debate over the ‘Aquarius’ crisis, that saw Italy turning away the ship and refusing asylum to the migrants on board, the prime minister has chimed in on the “Rome situation”. The capital city has long been the target of countless reproaches from the Lega Nord party, that accuses the city, lead by five stars movement exponent Virginia Raggi, of not wanting to deal with the capital’s refugees and migrants, who are “held responsible” for tearing apart the community. 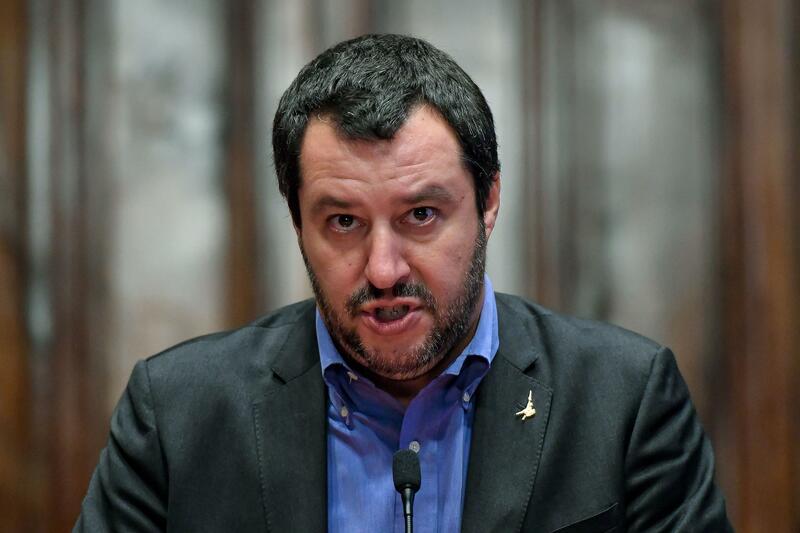 Outrage and disbelief has since rose from the other political parties, that immediately drew a comparison between Matteo Salvini and Benito Mussolini, the italian dictator responsible for introducing ethnic cleansing rules during fascism. Confirming the absurdity of Salvini’s words and adding up to what has become a ridiculous and embarrassing situation for Italy, Carlo Stasolla, president of the “Associazione 21 Luglio”, has reminded Salvini that it is actually illegal to call for a census on the base of ethnicity. Nonetheless, Matteo Salvini is committed to go ahead with his stance and it won’t stop until he gets what he want. Pounding on the “illegal and irregular” nature of the situation, words that help trigger the lower-working class, the prime minister has made of the migrants crisis his personal campaign. Given that the other prime minister, M5S leader Luigi Di Maio, has yet to come forward with a responsible and more human way of dealing with the situation, the fear is that most of Italians will actually turn to Lega Nord’s dangerous ideology for answers. With Trump pulling out of the UN Human Rights Council and millions of migrants coming to our shores for help, the solution still look critically far ahead.